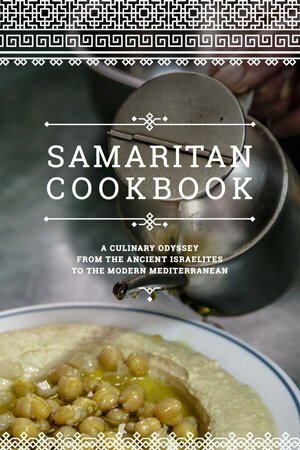 The Samaritan Cookbook is a culinary odyssey from the ancient Middle East to the modern Levant. A project by the One Semitistan collective, we are building an edible cultural bridge uniting diverse traditions. 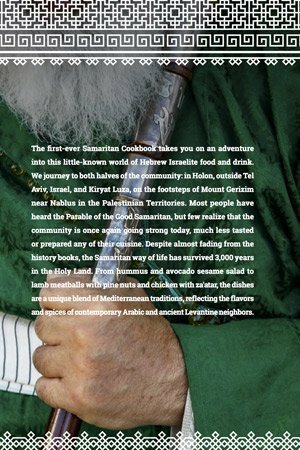 We celebrate the common foods eaten by different types of people, featuring Samaritan history as a unique phenomenon at the intersection of the Israeli and Palestinian experiences, as well as the Hebrew and Arabic spheres. 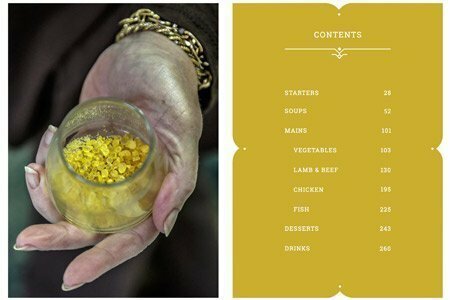 What follows is an introduction – the book’s creators are hoping to find a publisher and expand the book to 100 dishes. Please Contact us with suggestions. 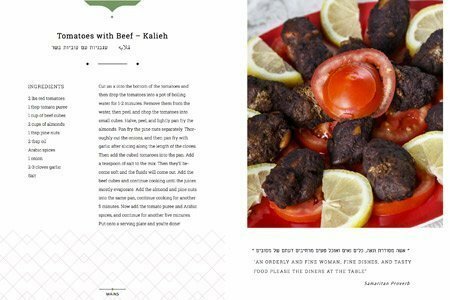 The book’s content appeals to five main groups: Mediterranean food lovers looking for healthy, tasty cuisine; the co-existence crowd interested in ways to bring Middle Eastern communities together; Jewish people fascinated by a distinct Israeli heritage; Christians hoping to connect with a Biblically important legacy; and aficionados who enjoy studying this one-of-a-kind ethnolinguistic sect. The delicious dishes are grouped into starters, soups, mains, desserts, and drinks. 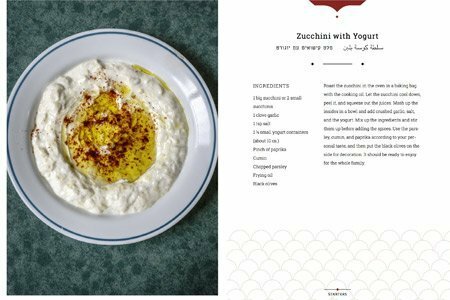 Each recipe is combined with directions, commentary, and photography in a visually appealing spread. Many have some broader cultural reference with anecdotes from the samaritan cook who originally put the instructions on paper. Sometimes this might revolve around a holiday celebration, and contextual descriptions explain the background of the items. 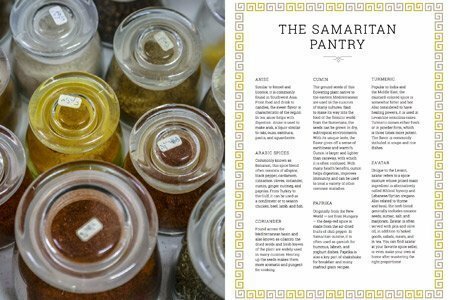 The style of the Samaritan Cookbook fuses old and new, giving a modern feel to 3000 year-old motifs. 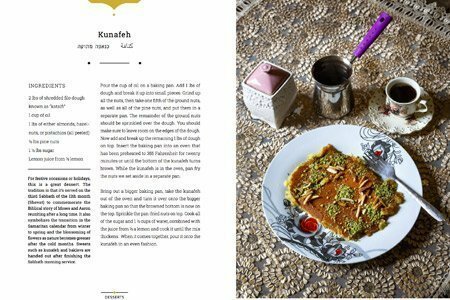 The team behind the Samaritan Cookbook is New York-based. 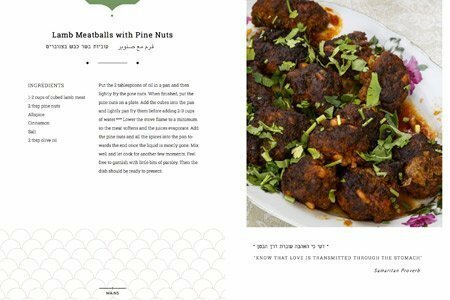 Editors Ben Piven and Avishay Zelmanovich envisioned this effort as a way to produce a contemporary take on the original 2010 cookbook put together by Holon, Israel-based Benyamim Tsedaka, a Samaritan jack-of-all-trades who serves as their chief academician. The community itself is spilt between that southern suburb of Tel Avivi and the town of Kiryat Luza, just outside the Palestinian city of Nablus on the slopes of Mount Gerizim in the West Bank. We Israelite Samaritans have a unique experience through a long, tumultuous past spanning thousands of years. We still carry out the same annual festivals, and visits to holy places during days of happiness and days of mourning. Our days of flourishing and good fortune, as well as days of withering, all in the Land of Israel, give us continued hope that we will last forever. One of the most important parts of Samaritan identity is the special cuisine delivered by our ancient forefathers – from the days when the menu and ingredients were quite sparse, to the days that it became enriched with hundreds of different kinds of spices and dishes. From this extensive kitchen, we have selected 72 of the best dishes, all of them an expression of over 3000 years of Israelite history. These dishes are influenced by this narrow strip of land in the Levant that connects the cultures of Africa, Asia and Europe – with a special Samaritan touch.